We all know that some foods are healthier than others—it's not news to anyone that a serving of fruit is better for you than a cheeseburger from a fast food restaurant. However, not everyone knows about superfoods. Superfoods are foods that are not only good for you, but that have specific vitamins and nutrients that can do wonders for your health and vitality. If you want to improve your overall health, consider adding these five superfoods to your diet. At some point, we started believing that fat was bad. While it's true that saturated fat can lead to obesity and heart disease, healthy fats have the opposite effect. Those who consume nuts tend to be leaner than those who don't. Regular nut consumption can also improve heart health. However, portion control is crucial, as the calories from nuts can often add up. While still somewhat obscure, goji berries can be found at health food stores. They are packed with antioxidants and fiber. They are delicious and perfect for satisfying your sweet tooth, while also being low in calories and composed mostly of water. Dark leafy greens, like spinach and kale, need to be a cornerstone of everyone’s diet. They are chock-full of vitamins and minerals, in addition to being extremely filling due to their high fiber content. If you can't stand the taste, consider adding spinach or kale to fruit smoothies. You'll reap the benefits without tasting a thing. Yogurt is packed with probiotics, which are a type of bacteria that can improve digestion and help you burn fat more efficiently. Yogurt is also filled with vitamin D and calcium, which is especially beneficial for women’s bone health. One of the best ways to get more of this probiotic-rich superfood is by eating frozen yogurt, a much healthier dessert alternative to ice cream. If you’re watching your caloric intake but don’t want to miss out on the benefits of yogurt, stick with low-fat varieties and limit your consumption to a few times a week. If you want to stay healthy, even during cold and flu season, then citrus fruits need to be a part of your diet. Both oranges and grapefruits are filled with vitamin C, the most essential vitamin for keeping our immune systems strong and warding off colds and viruses. The best way to get vitamin C into your system is not by supplements or daily vitamins, but rather by incorporating citrus into your diet. 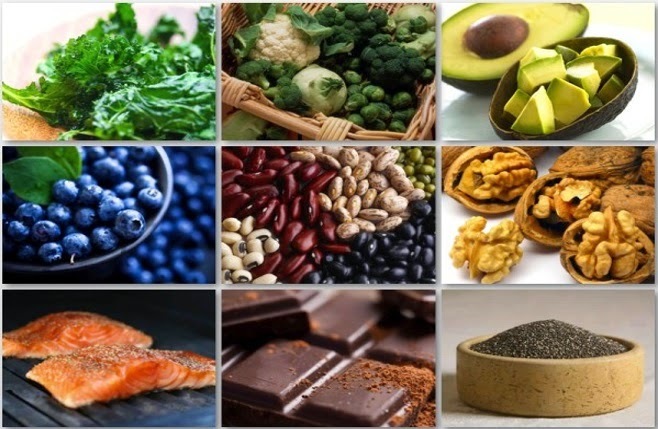 If you add these superfoods into your diet, you will feel healthier and prevent a whole slew of illnesses and ailments. Ultimately, a healthy diet is the best prescription for a healthy body.